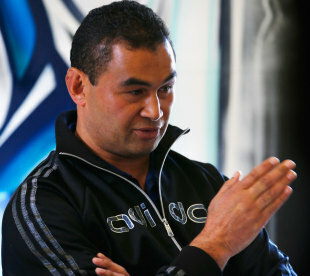 Connacht have turned to ex-Blues coach Pat Lam to replace the outgoing Eric Elwood. Elwood will leave the province at the end of the season after 24 years at Connacht, both in a playing and coaching capacity, and the management have to replace him with former Samoan skipper Lam. Lam previously turned out for Newcastle Falcons and Northampton Saints in the Premiership before embarking on a coaching career with Auckland in the New Zealand Provincial Championship. He then journeyed to the Blues but was dismissed at the end of the 2012 Super Rugby campaign after a poor season. Connacht had reportedly approached former Ospreys boss Sean Holley to take over from Elwood but he turned them down. And the province has now opted for Lam, much to the delight of their chief executive Tom Sears. "The position attracted worldwide interest enabling us to select from an incredibly strong field and we are convinced Pat has all the qualities and credentials to take Connacht forward," Sears said. "Allied to his experience and technical expertise he displayed an excellent knowledge of Connacht, of where we are, what we aim to achieve, the obstacles we face and how we can ultimately achieve our objective of becoming one of the leading sides in European rugby. "Throughout the selection process Pat displayed a real affinity to what Connacht Rugby means and that was crucial to us. He will no doubt bring about progressive changes but he is also extremely committed to retaining and building on the qualities that make Connacht unique." Lam has signed a two-year deal with the option a extend for a further year and he is relishing the chance to start work with the province. Lam said: "My family and I are truly blessed to have another opportunity to be part of a new community and country and we are looking forward to the exciting challenge ahead at Connacht. "I was very impressed by the board's vision for Connacht Rugby and the fighting spirit of the team and supporters to persevere against all the odds. I'm looking forward to working with good people to build on the great work that Eric has done."